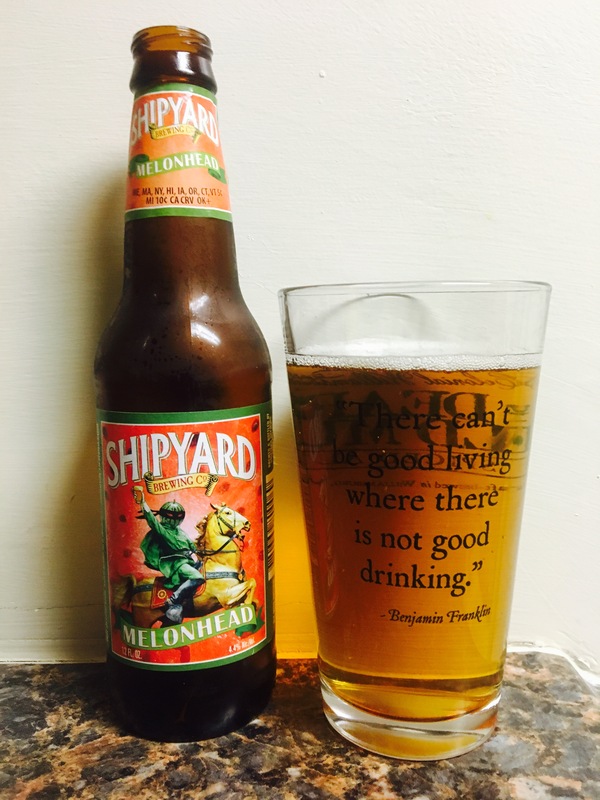 Shipyard brewery is another of my faves and they just put out one of their summer beers “Melonhead”. It smells so darn good, very fresh and fruity. Like a bouquet of melons and berries. The taste is quite delicious, watermelon with strawberry, honey dew and some others. Very light and sweet but it only has a 4.4% Alc content. This is another summer beer best served cold in the hot sun! 4 stars.